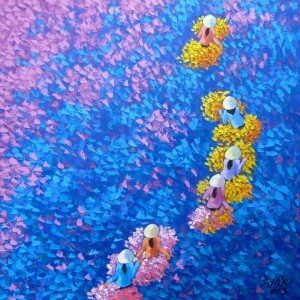 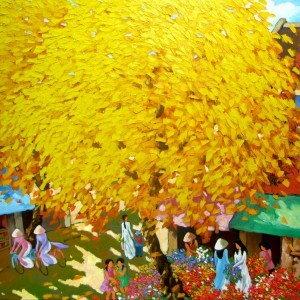 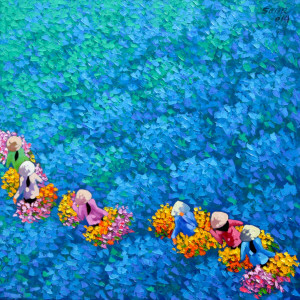 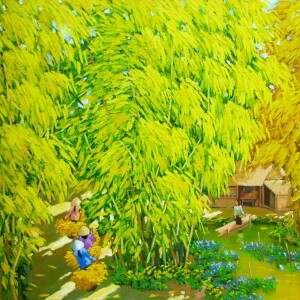 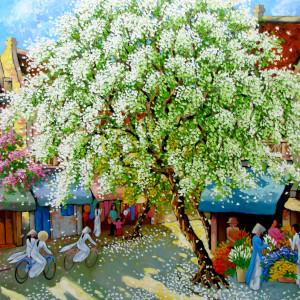 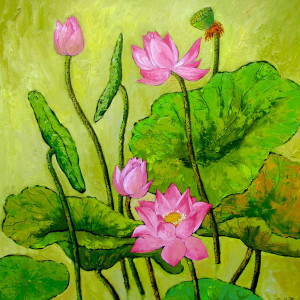 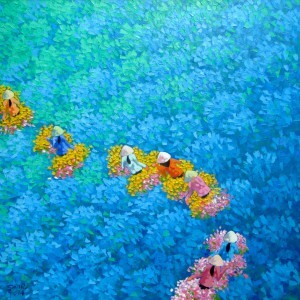 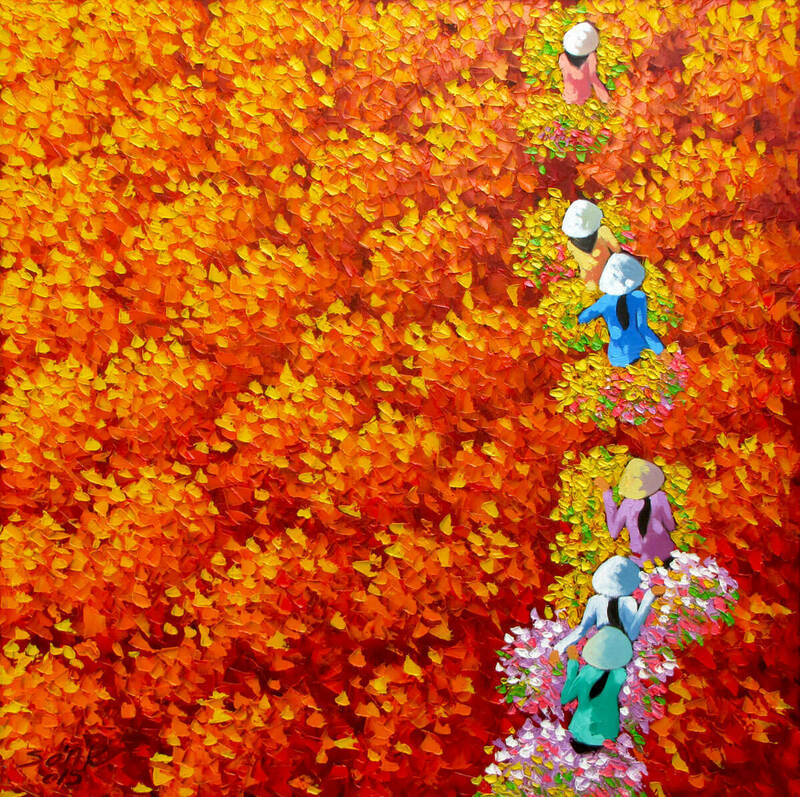 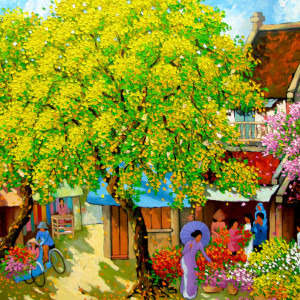 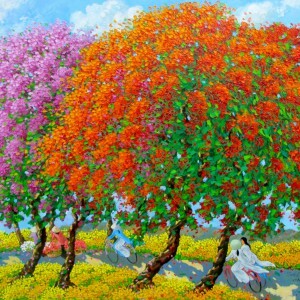 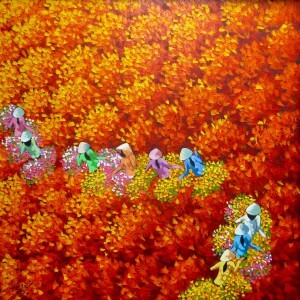 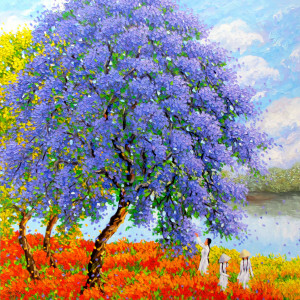 There is something immensely poetic in flower gathering, and Duong Ngoc Son celebrates it in a series of his works. 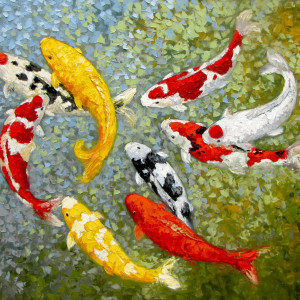 This Asian art piece is particularly noticeable for its eloquent texture and vigorous palette. 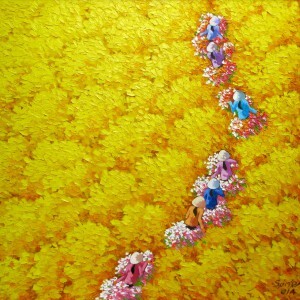 Giving us a bird’s-eye view of a flower field, the artist creates a visual metaphor of Nature’s grandeur. 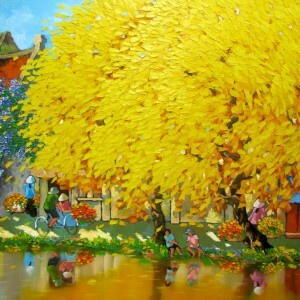 This is a remarkable piece of landscape painting.